The Woodruff Physical Education Center (WoodPec) is located on Emory's main campus in Druid Hills. 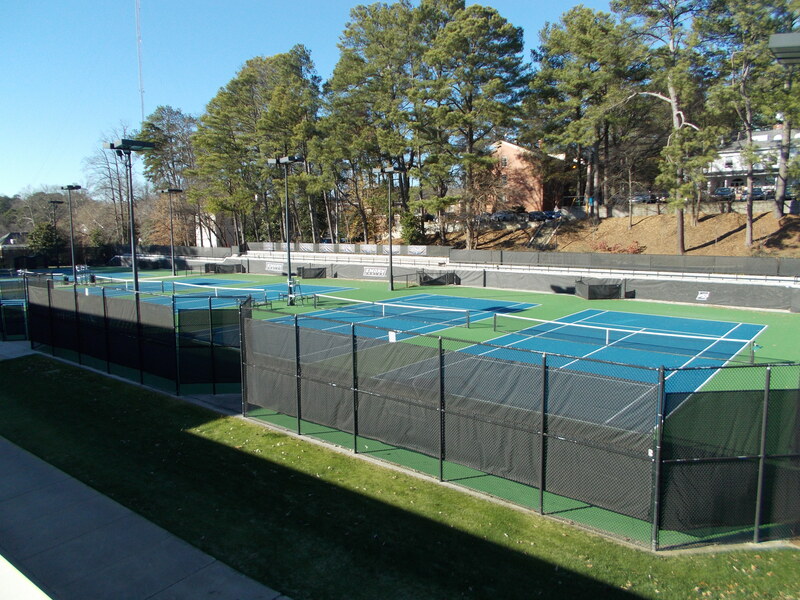 The facility offers 6 outdoor courts, 4 indoor courts, an indoor Olympic-sized swimming pool, gymnasium, racquetball courts, weight room, locker room, nearby eating establishments and classrooms. Swoop's Starters (ages 5-8) will primarily play on the Woodpec's indoor courts while High Flyers (ages 9-14) will primarily play on the outdoor courts. 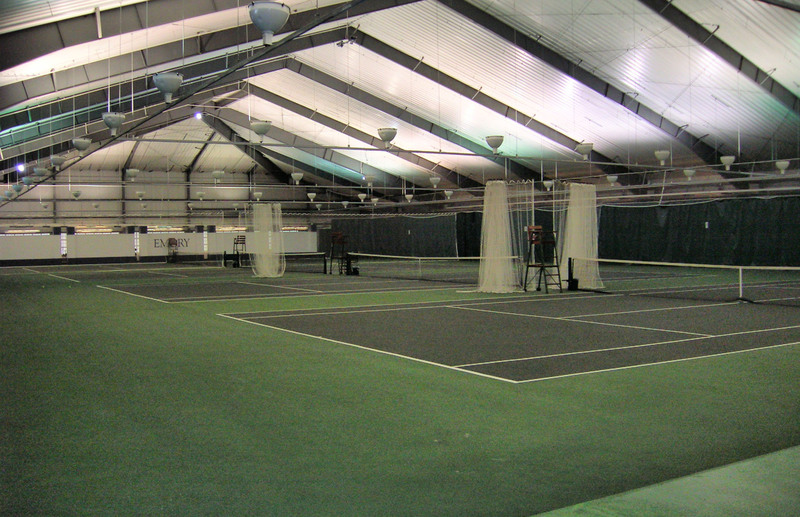 Actual indoor playing time may vary on a weekly basis depending on the quantity of campers in each age group. For specific requests or questions regarding court assignment, please contact us. Use GPS to arrive at 22 Eagle Row Atlanta, GA 30322. This will take you to the drop-off and pick-up circle! **It is possible that at drop-off or pick-up a parking attendant will direct you into the Peavine deck to park and then walk up to drop-off or pick-up your child. This would only happen if traffic blocks the road for extended periods of time. Please be patient. Thanks! On the first day of camp, you will need to park in the Peavine Parking Deck I or II (across from the drop-off/pick-up circle) and walk up to the courts to register. Parking Deck attendants will open the gates for you on the first day of camp only. If you need to come to the courts or enter the building any other day before 4pm, you must park in the Peavine Visitor Deck (down the hill next to the gated Peavine deck). Peavine I and II gate arms open after 4pm for parents to park for extended care pickup. You may not leave your car unattended in the WoodPec drop-off/pick-up circle at any time. The Student Activity and Academic Center (SAAC) is located on Emory's Clairmont Campus on Clairmont Road next to the VA hospital. The facility offers 8 outdoor courts, an outdoor Olympic-sized swimming pool, gymnasium, weight room, locker room, cafe and classroom. 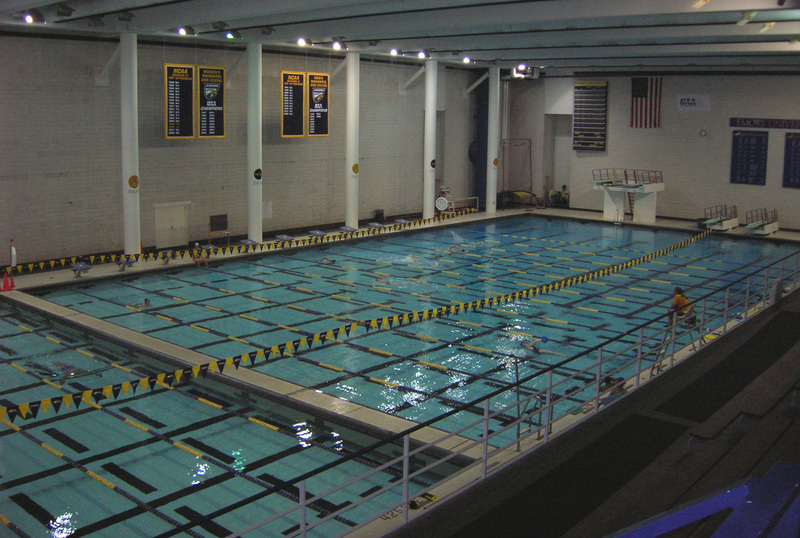 All full-day campers in sessions II & III (June 4-15) take a field trip to the SAAC on Wednesday afternoon for outdoor swim time. All camp begins and ends each day at the Woodpec (not SAAC).